Game of Thrones pirates are being targeted by HBO. The TV network and IP Echelon, its anti-piracy partner, are monitoring popular torrents and trying to get them taken down. They’re also keeping tabs on people who are downloading and sharing episodes. HBO and IP Echelon have started sending out warning messages to internet service providers (ISPs) with the details of customers whose connections are being used for piracy, TorrentFreak reports. The alerts, which include the user’s IP address, call on ISPs to notify their customers about the alleged copyright infringement and to discourage them from doing it again. “We have information leading us to believe that the IP address [redacted] was used to download or share Game of Thrones without authorization (additional details are listed below),” reads one such notice. 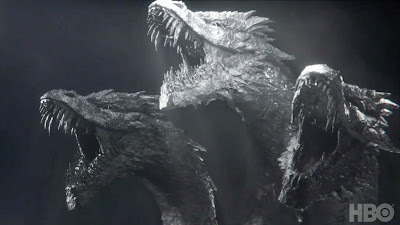 “HBO owns the copyright or exclusive rights to Game of Thrones, and the unauthorized download or distribution constitutes copyright infringement." Under US copyright law, however, ISPs aren't obligated to pass these messages on to their customers. Season seven of the enormously popular show kicked off last weekend. It’s being televised by Sky in the UK, and is available to stream online through NowTV and Sky Go.